What role does the Holy Spirit lead in the life of the believer? Before we were saved, we were the walking dead; dead in our sins. We needed the Spirit’s quickening. The Apostle Paul wrote that I was dead and “you were dead in the trespasses and sins in which you once walked, following the course of this world, following the prince of the power of the air, the spirit that is now at work in the sons of disobedience” (Eph 2:1-2). We had the influence of a spirit, but an evil spirit, and were under the influence of the god of this world, Satan, however, the Holy Spirit is greater than Satan because the Holy Spirit is also God. This means that “you are from God and have overcome them, for he who is in you is greater than he who is in the world” (1 John 4:4). What changed? God changed us by His Spirit because “we all once lived in the passions of our flesh, carrying out the desires of the body and the mind, and were by nature children of wrath, like the rest of mankind. But God, being rich in mercy, because of the great love with which he loved us, even when we were dead in our trespasses, made us alive together with Christ—by grace you have been saved” (Eph 2:3-5). 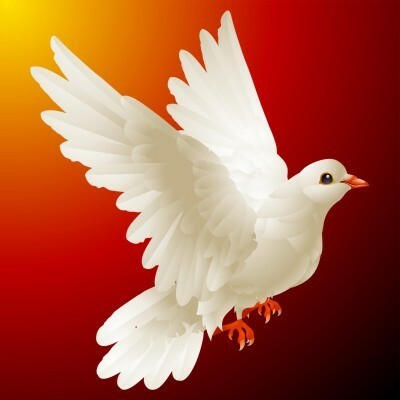 The Holy Spirit will speak to your conscience. He will tell you when you’ve blown it and need to apologize. He will tell you to avoid going certain places and with certain people because of what happened last time. He will lead you to offer a helping hand to someone in need. Our own flesh won’t usually do these things, but the Spirit of God will. Jesus, in speaking about the coming of the Holy Spirt, said that “when he comes, he will convict the world concerning sin and righteousness and judgment” (John 16:8), and “concerning sin, because they do not believe in me” (John 16:9); “they” being the Jewish religious leaders, so they and “the ruler of this world is judged” by Jesus’ sinless life, death, and resurrection. Satan and his minion’s fate have been sealed. The Holy Spirit not only is greater than Satan and his demons, He has power over them, so no believer need live in fear of being demon possessed or being taken over by Satan. We have previously read that God the Holy Spirit is greater than Satan who is a created being. The Creator of something is always greater than the thing which was created. 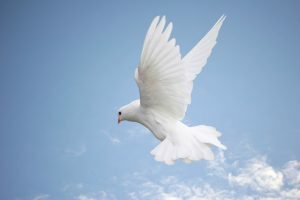 Sanctification is a lifetime process, and it will never be fully complete this side of the kingdom, but I believe the Holy Spirit has a special name for a very special reason. He is just as holy as God the Father and God the Son is, so why don’t we call them Holy Father, Holy Son, and Holy Spirit? I think it’s because of the work the Holy Spirit does in us and through us. The Holy Spirit helps us to bear fruit for Jesus’ and the Father’s glory. He prompts us to do good things for others while convicting us of doing things we shouldn’t have done. He keeps us out of sin by reminding us of Scripture. Jesus said “do not be anxious how you are to speak or what you are to say, for what you are to say will be given to you in that hour. For it is not you who speak, but the Spirit of your Father speaking through you” (Matt 10:19-20), and I can use as much of the Spirit’s help as I can get. The Apostle Paul wrote a letter to the church at Ephesus, but it was intended for all the churches, and part of his purpose for writing this was to try and explain God’s marvelous redemptive plan. Paul reveals that “even as he chose us in him before the foundation of the world, that we should be holy and blameless before him. In love he predestined us for adoption to himself as sons through Jesus Christ, according to the purpose of his will” (Eph 1:4-5). It was only because of God’s will that “we have obtained an inheritance, having been predestined according to the purpose of him who works all things according to the counsel of his will” (Eph 1:11). Our salvation was sealed, because when we “believed in him [we] were sealed with the promised Holy Spirit” (Eph 1:13). The word used for seal is the same word used for a letter sent from a king that had his own seal on it, and no one was allowed to break the seal but the person it was intended for. In similar fashion, the sealing work of the Holy Spirit “is the guarantee of our inheritance until we acquire possession of it, to the praise of his glory” (Eph 1:14). The Holy Spirit also helps us when we’re at a loss for words and don’t know what to pray for or how to pray. Paul wrote that the “the Spirit helps us in our weakness. For we do not know what to pray for as we ought, but the Spirit himself intercedes for us with groanings too deep for words” (Rom 8:26), and the Holy Spirit always does the will of God, because “the Spirit intercedes for the saints according to the will of God” (Rom 8:27b), but only those “led by the Spirit of God are sons of God” (Rom 8:14). If you have been brought to repentance and faith in Christ, then “you have received the Spirit of adoption as sons, by whom we cry, “Abba! Father” (Rom 8:15b). The only name we know of the Holy Spirit is the Holy Spirit. That is all we know from Scripture, although He is also called the Comforter and the Helper. Next post: What Is Glossolalia?